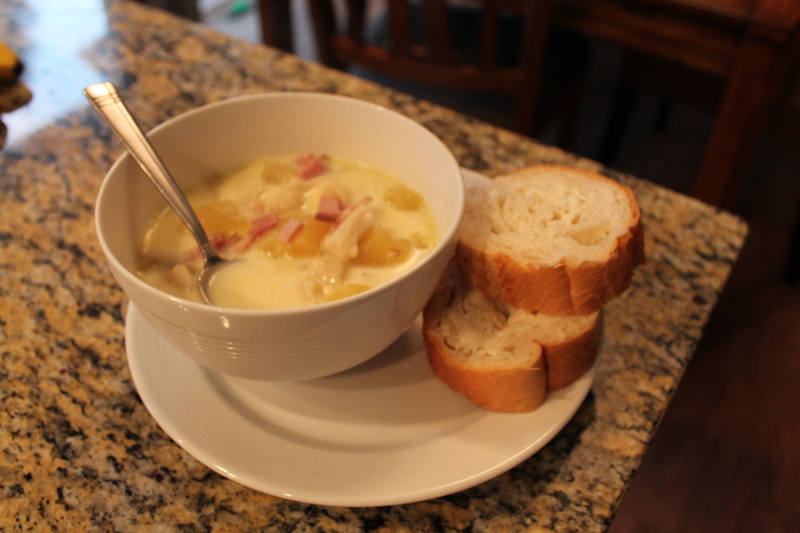 I am paying homage to my home state of ND with this recipe – a German soup perfectly suited for chilly, rainy days like today. 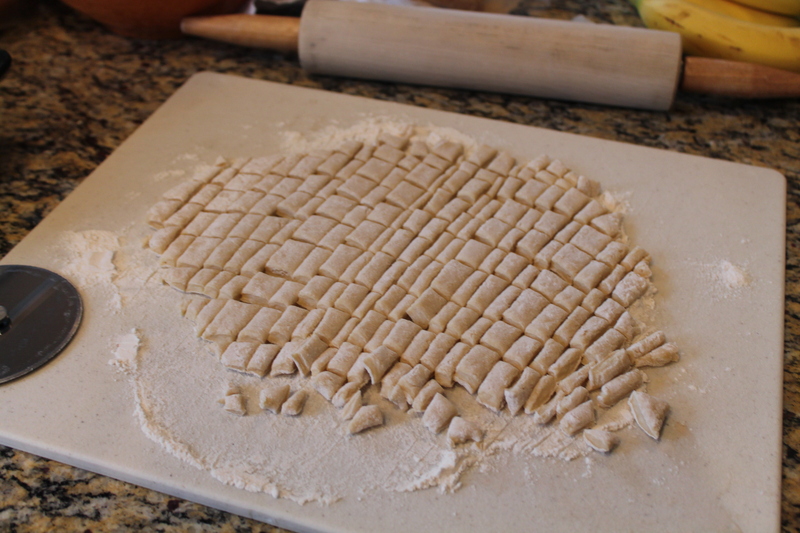 Combine dough ingredients to make a stiff dough. Chill in the refrigerator for about an hour. 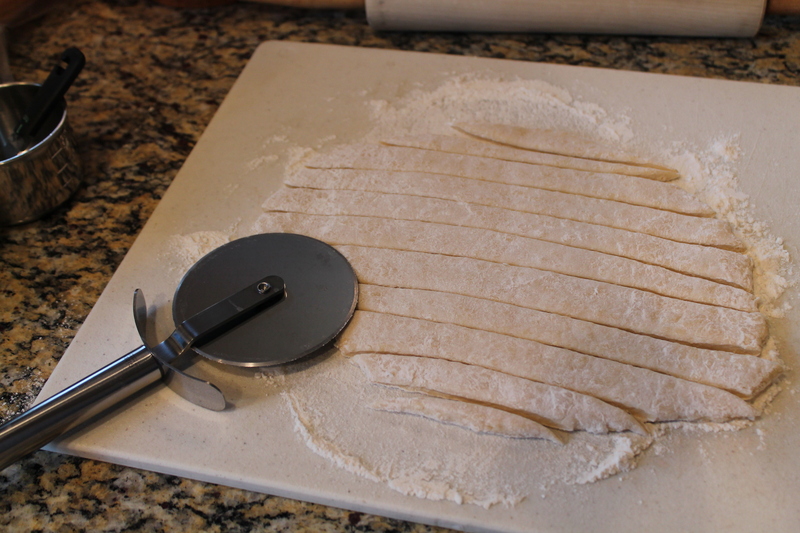 Roll dough out on a floured surface and cut into small pieces (I use a pizza cutter). Cook dough pieces in a kettle of boiling water for 20 minutes, stirring often. Drain and Reserve. In a dutch oven, saute onions in 2 T. butter. Add potatoes, ham, and bullion cubes. Add enough water to cover the ingredients and cook for 25 minutes (be sure to fork test your potatoes to make sure they are done). When the base is done, add the cooked knoephpla, milk and cream. Simmer for another 20-30 minutes. We like to serve ours with buttered french bread. Try it! You won’t be disappointed! This entry was posted in Cooking. Bookmark the permalink.